#Feature Kick-off: We Can(ada) Read 2018! We Can(ada) Read is by Canadians for EVERYONE to learn more about some amazing Canadian authors! It is a highlight of Canadian Literature and those of us who promote it as much as possible. This year's giveaway is sponsored by Moonbeam Books, an independent bookstore in Toronto, Ontario that specializes in Kids and Young Adult books! Moonbeam Books is an independent children's bookstore in the west end of Toronto. We sell books for kids of every age, from first board books for babies to captivating young adult reads. We also sell a selection of high quality games, puzzles and activities that inspire creativity and help build cognitive skills. Visit them in person at 335 Jane St, Toronto, ON M6S 3Z3! Clicking on the date will take you to that post, once it's live! Make sure you check out all the bloggers below and show them some love on their blogs! It feels like I started this early this year because I reviewed SADIE by Courtney Summers and had an interview with Danielle Koste prior to these dates. So those posts are quasi-We Can(ada) Read! I have an interview with the author about her book plus give you the chance to win a copy and some other goodies, so be sure to read all the way to the bottom. But first, let's learn more about the book! Danielle Koste: WHAT THE FLOWER SAYS OF DEATH is: A love story. Violet, learning to love herself and life. 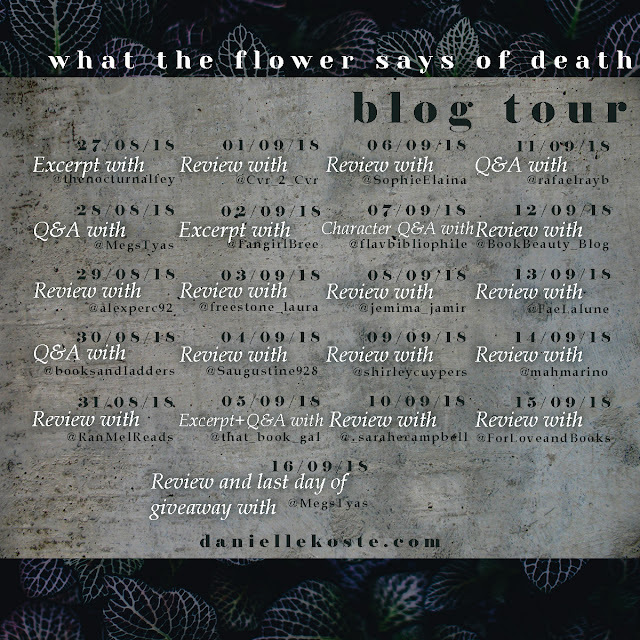 Danielle Koste: WtFSoD is a story about beginnings. I’d like people to take from Violet’s story that it’s never too late to make those hard decisions, to stop running from the things that scare you the most, and that endings aren’t really endings, they’re just the beginning of a new chapter. I have a review of the book for you today, which is just as good as you've heard from others. If you want, you can even check out the podcast! But before we get there, let's learn more about the book! This was such a unique book, especially with its writing style. I love Courtney Summer's writing style and believe she is one of the most creative authors in the game. 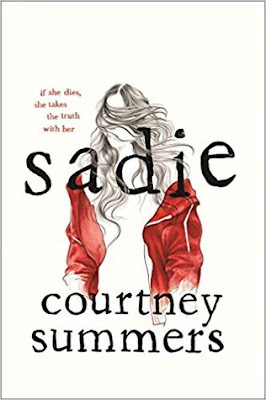 Having this set up as a podcast with different perspectives from Sadie was a stylistic choice that wouldn't have worked if it was anyone but Courtney Summers writing it. 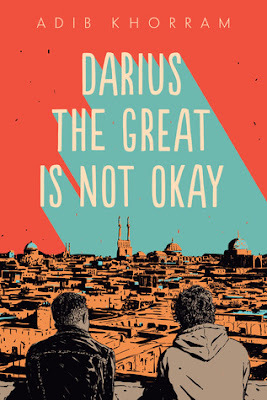 DARIUS THE GREAT IS NOT OKAY by Adib Khorram! 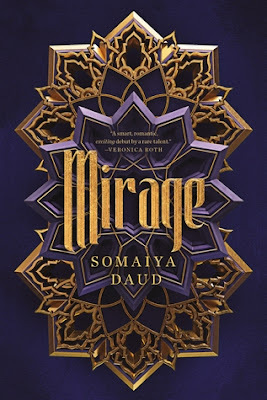 I have a review of the book for you today and it was so ah-mazing. Heartfelt, feeling, and everything you'd want in a contemporary novel, but you can read all about that below. First, let's learn more about the book! Disclaimer: I received a free copy of the book and chose to review it. This in no way impacts my opinion. "Suicide isn't the only way you can lose someone to depression." This was so good. I loved Darius and how he handled life. It was just so incredible to read about someone who deals with depression and anxiety. I just loved it so much. There were times when I felt a little meh about the writing. 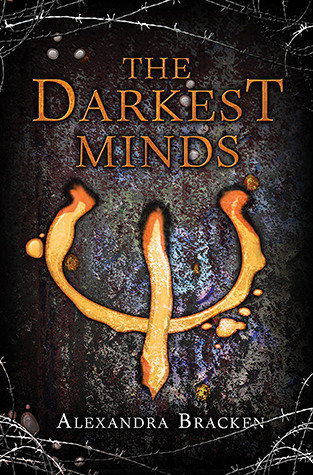 If you are a fan of THE SERPENT KING, this is the book for you. 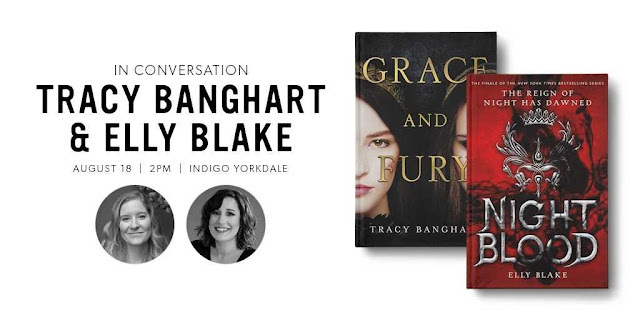 On Saturday, August 18, I headed to the big city (Toronto, although technically this Indigo is in North York) to join YA authors Tracy Banghart and Elly Blake as they discuss and sign their latest books. The event was moderated by YA author Morgan Rhodes, so of course I also brought the latest (and last) in her series as well! 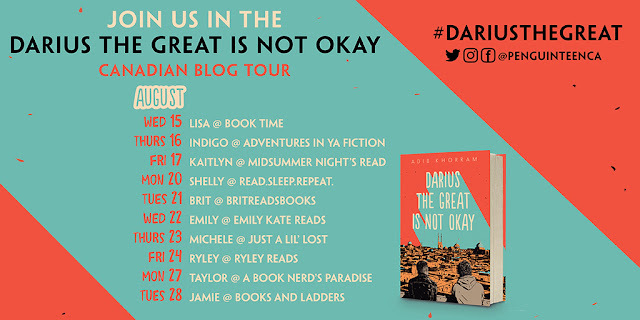 I'll be giving you an inside look at what was discussed at the event and giving away a SIGNED copy of the Indigo Staff Pick of the Month, GRACE AND FURY by Tracy Banghart, so be sure to read all the way through! See my tweet by tweet live tweeting by checking out the hashtag #FuryandBlood on Twitter! I got to Yorkdale early so I could do some shopping and it was well worth it! If you've never been to Yorkdale, you should check it out one day. Then I went over to the !ndigo to grab my seat and talk shop with some readers! THE DARKEST MINDS by Alexandra Bracken! I am reviewing both the book and the movie since I took myself on a date to the movies to see it. I am reviewing the book first, then the movie and I can't wait to share my thoughts with you! So, let's get to it! This wasn't a bad book per say. I didn't mind reading it, but I thought it was pretty predictable. I felt like I knew everything that was going to happen before it did. Maybe I just have some latent mind powers though. You never know. 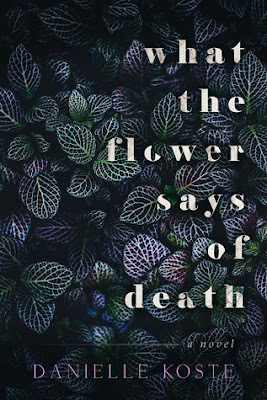 Today I have a book aesthetic for you so you can visualize the story before you read it! I also have a US only giveaway for a finished copy of the book, so be sure to check out the whole post. This tour is hosted by Aimee, Always. But first, let's learn about the book. I loved the scenery and imagery of this book. There was so much lush descriptions to this and I loved imagining every scene. 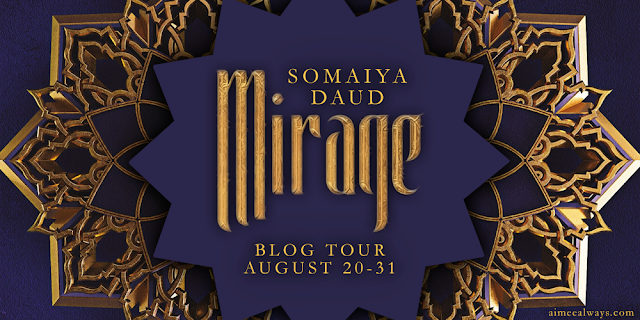 Here are some visuals that you can use to imagine the world of MIRAGE before you pick up your own copy! We've discussed planning out your feed and your photos! We also focused on determining when and what to post on Instagram. But how do you get people to read the caption? And once you get them to, what do you put into it? That's what today's post is all about! There are three parts to the caption and I'm going to tell you how I write them to best get engagement. Before we begin, it's important to note, before you rush off to cram your captions with 50 hashtags and your life story, Instagram has a maximum character limits: Instagram caption character limit: 2,200 characters. Instagram hashtag limit: 30 hashtags. Instagram tagging limit: 30 accounts. The first thing you should know is that the caption of an Instagram post that appears on a feed is only 75 characters. You have 75 characters to draw people into the caption, so make it sparkle! 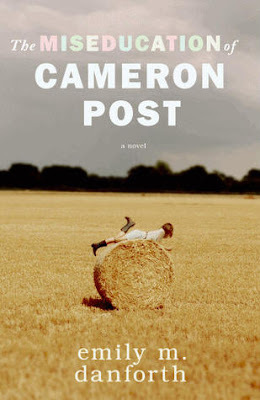 Double #Review: THE MISEDUCATION OF CAMERON POST by Emily M. Danforth // Book and Movie Review! THE MISEDUCATION OF CAMERON POST by Emily M. Danforth! I am reviewing both the book and the movie since I was lucky enough to see it on Saturday because Windsor-Essex Pride Fest in collaboration with Windsor International Film Festival had it playing on the silver screen! I am reviewing the book first, then the movie and I can't wait to share my thoughts with you! So, let's get to it! THE MISEDUCATION OF CAMERON POST is one of the best books I've read. It was a little on the long side, but it was so lush with depictions and I never felt as though what I was reading wasn't necessary. I definitely understand why people would say the length of the novel is off putting, but it gives depth to the characters and backstory that is really needed for the times. 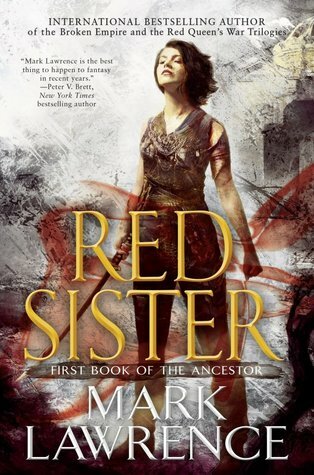 RED SISTER and GREY SISTER by Mark Lawrence! Disclaimer: I received a finish copy from the publisher, but then bought a copy from Audible and listened to the audiobook. This in no way impacts my opinion. We've discussed planning out your feed and your photos! Today we are focusing on determining when and what to post on Instagram. If you have an Instagram Business Account (as you should since you are an Influencer), you can see the hours your audience is most active on each day. You can try to post during these hours or post consistently at a specific time. I post consistently at the same times every day (9:30am and 2:00pm). It's up to you to choose what you want to do! Now that you took the perfect photo, you need to post it! That's key to Instagram. But you could also use a handmade graphic (maybe from Canva) that discusses a new feature, an event that you're going to, or anything else you need words for or that you want your audience to read. Sometimes people don't read captions - just see the photo, like it, and move on. But it is important to have the caption for the people (like me!) that read every single caption. Describe the scene, explain whatever the object your featuring is, say where to get it (maybe there is a link in your bio! ), and then ask a question to engage your audience. This one is essential - you need to action your audience to interact with them.